For if Tom Haley starts out as the young Ian McEwan – rewriting the stories from In Between the Sheets – he then transmogrifies into a figure who uncannily evokes the young me – using ongoing real-life events as the basis for a novel, which will simply track them without fictional embellishment: a ‘reality novel’ so to speak, which I write about in my memoir. You want to write a novel? So write a novel! Start over now – make this the beginning of a new novel! Whatever you do will be part of the Novel. Make it up as you go along. Now, in this very moment, these ideas and discoveries you are undergoing are part of the Novel. They are material – everything is material! …I would start here and now, in this eternal moment and go forth and compose my Novel, which would be an entirely new kind of Novel, eschewing ‘fiction’ in favour of actuality. And from here the similarities get stronger still. To make a creative point, I decided to end The Mad Artist with a meta-chapter, that is a chapter from the actual novel I was writing, the genesis of which forms part of the story the memoir tells. Sweet Tooth’s final chapter is also a meta-text – a letter from Haley to Serena. And the reasoning for doing this in both works is identical, namely to direct the ongoing story towards a revelation of how it itself came to crystallise into the book you’re holding in your hands right now – in short, to create a literary Möbius strip. Moreover, as the action of The Mad Artist takes place in the ’70s, I felt I owed my readers an explanation why it took until 2010 for the book to see the light of day – an account of the protracted convolutions of my failing experimentation. Sweet Tooth also comes supplied with an explanation for a congruent time lapse – the constraints of the Official Secrets Acts and the wish to keep key characters of out trouble. It seems that what I did in reality, McEwan has done in fiction, by popping the whole rationale into a further fictive envelope. So here hangs a tantalising question – could The Mad Artist, published some two and a third years before Sweet Tooth, have possibly exerted an influence on McEwan? It doesn’t appear in the extensive list of books in the acknowledgements section at the back, which covers the Cold War, ’70s society and politics, and includes the autobiographies of Peter Wright and Stella Rimington. The Mad Artist with its subtitle ‘Psychonautic Adventures in the 1970s’ might conceivably have cropped up in searches concerning ’70s memoirs and entered McEwan’s radar, and in posts on this blog – The Cult of the Novel and The Cult of the Novel Info – I detail the spontaneous novel idea. On top of that McEwan and I have met at book-signing events and talked, discussing his work. Also I’ve written to him several times, to request interviews for various magazines I’ve worked for, so there are connections between us. I am a great admirer of McEwan, and I’m not doing anything as blatant as accusing him of plagiarism here. This is a very different case to the Atonement affair of 2006 when he was taken to task over similarities between passages in the wartime hospital sequences in that novel and Lucilla Andrews’ memoir of wartime nursing No Time For Romance, which were brought to light by the doctorial research of Natasha Alden. 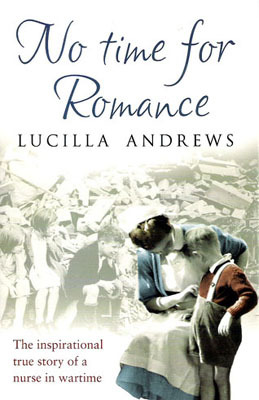 Like Atonement’s central character Briony, the young Lucilla Andrews was both a war nurse and an aspiring writer, and details of both the tension of waiting to hear from publishers and the effects of seeing injured patients, as well as hospital routines and medical procedures appear in both books. Some of Andrews’ descriptions of such procedures crop up in Atonement with only minimal alteration. But McEwan openly acknowledged his debt to No Time For Romance, and that title does appear in the list of sources at the back of Atonement. In his defence he says he was inspired by Andrews’ work but denies that he copied it. He stresses the importance of factual accuracy in recreating a historical milieu and says he drew on No Time For Romance as reportage, an accumulation of facts, so that taking details from it didn’t amount to ‘creative stealing’. That argument poses an interesting question about where exactly the lines lies between the two. A memoir might well be factually based, but its composition – the forming of ideas into sentences – is still a creative act, and Lucilla Andrews was also a successful novelist, penning romances, so her credentials as a wordsmith have high worthiness. The Mad Artist case rather more resembles an earlier one where striking similarities were noted between McEwan’s 1978 first novel, The Cement Garden, and the 1963 novel Our Mother’s House by Julian Gloag, which was made into a film in 1967, starring Dirk Bogarde. In both narratives a set of child siblings suffer the death of their sole guardian parent, the mother, and rather than inform the authorities they inter her within the home confines and attempt to carry on autonomously, inevitably sinking into chaos. Here McEwan denied ever having read Gloag’s novel, and had he read it the case for ‘creative stealing’ would have been a lot stronger than in the Atonement example. A lively debate has since ensued with prominent writers such as Christopher Priest and Robert McCrum giving us much food for thought. 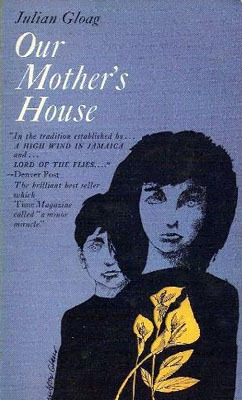 Interestingly a subsequent Gloag novel, Lost and Found, published in 1981, concerns – as the title suggests – a writer losing a manuscript only for it to fall into the hands of another who publishes it and makes the bestseller list. So we come back to that twist ending, the Möbius strip that conjoins Ian’s book to mine. Because I wrote my novel-that-became-a-memoir in real life, I am exonerated from criticism on the grounds of literary artifice, as my only artifice is clever editing and presentation of material. But when the same thing is done in fiction, it comes across as heavy with artifice – creating the strong sense of an all-done-with-mirrors conjuring trick. Also it prompts the reflection that the whole narrative was set up just to produce this final piece of prestidigitation, and once the frisson has worn off one is left with a ‘so what?’ aftertaste. That is very similar to the effect of the M. Night Shyamalan film The Village where the entire set up of a closed 19th century community is finally revealed to be an elaborate falsity designed to fool the audience into believing they are watching a historical drama when the action is really taking place in the present day. Here, once the cat is out of the bag, the contrivances of the script ring hollow and the narrative seems without substance, pointless except as an enabler of the twist; and the whole registers as not a film with a twist but a twist with a film – a tail that wags the dog (no pun intended). This same view of Sweet Tooth comes across in some of the Amazon reviews, where people are saying what they really think. One talks of feeling cheated and that nothing really interesting happened by the end. Another was so irritated by the twist that he would have thrown the book away, were it not on his Kindle! Yet another compares the twist to those of Roald Dahl’s Tales of the Unexpected and talks of the book’s cut-and-paste artifice and resemblance to a puppet show. Words such as ‘absurd’, gimmick’, ‘fake’ and ‘cheat’ crop up repeatedly. So what am I trying to say here? It is that this particular brand of twist ending as used in Sweet Tooth has a strong contrived and second-generation feel about it – and indeed it has been done before, by me. Naturally similarities and parallels between different writers’ works will occur again and again, and most of the time they can be put down to either legitimate influence and inspiration or plain coincidence. Clearly in both The Cement Garden and Our Mother’s House we can detect the influence of Golding’s Lord of the Flies. And one might say that McEwan’s The Comfort of Strangers has similarities to Daphne du Maurier’s Don’t Look Now; and the broad sweep of Atonement has similarities to Forster’s A Passage to India; but no one is going to hold that against him. But when similarities and parallels come all at once in a significant cluster, then it’s bound to draw quizzical attention. 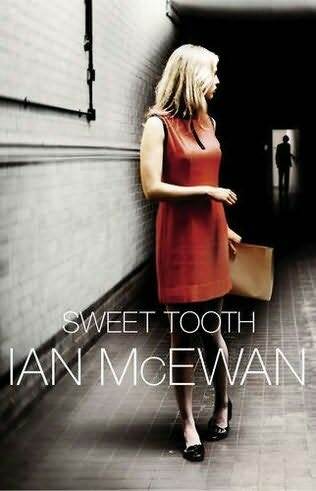 Again I stress I’m not accusing McEwan of anything here, merely recounting my personal experience of reading Sweet Tooth and my subsequent thoughts. Either he has read or learnt about The Mad Artist and possibly been inspired by it – writers are constantly being inspired by one another – or he hasn’t in which case it’s all just a fantastic coincidence, Jungian synchronicity perhaps, a case of great minds thinking alike.